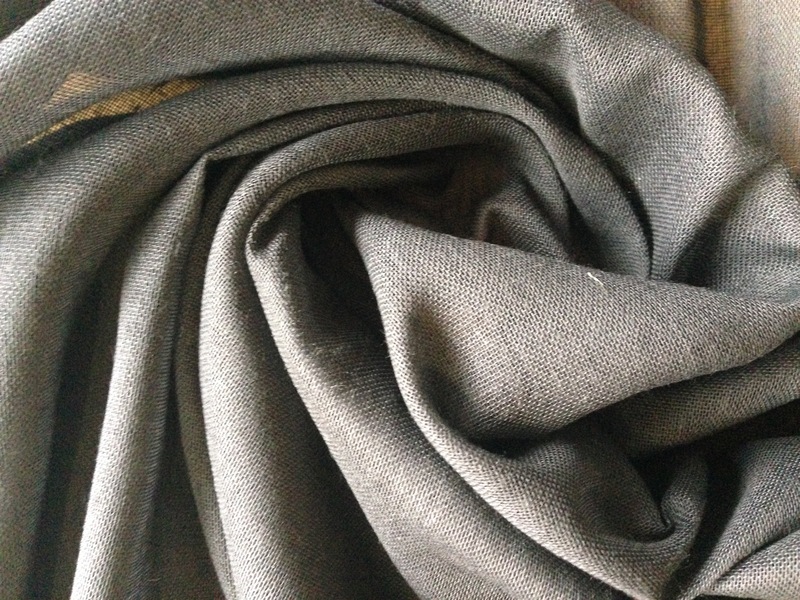 This is an extremely versatile, lightweight cotton fabric with a broad variety of end uses besides dressmaking. Often used to test the fit of a garment, (“making a muslin”), before cutting pieces from expensive fabric, thereby avoiding potential costly mistakes (in much the same way calico is used to make a “toile”). 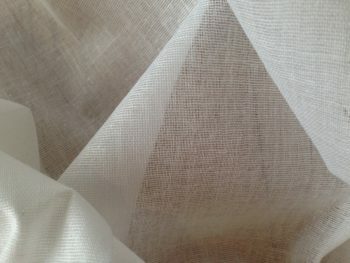 Muslin is also often used as a backing or lining for quilts. In the shop we are often asked for whole rolls of muslin to decorate venues for weddings – if this is what you would like to find out about please contact us. We are also asked for muslin for culinary purposes; it can be used as a filter, for example, to make apple juice or in home cheese-making by pouring ingrediants into a muslin bag suspended over a jug, or when decanting fine wine or port. Muslin is the material for the traditional cloth wrapped around a Christmas pudding. We’ve also heard that beekeepers use muslin to filter melted beeswax to clean it of particles and debris. Muslin can be used for theatre sets to mask backgrounds or to establish the mood or feel of different scenes. It takes paint well and, if treated properly, can be made translucent. 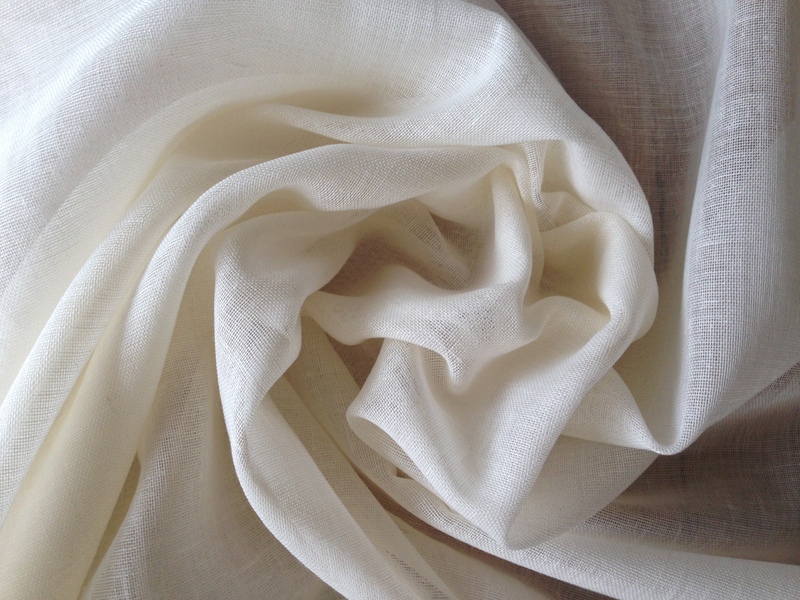 This fine cotton fabric can also be dyed really successfully. 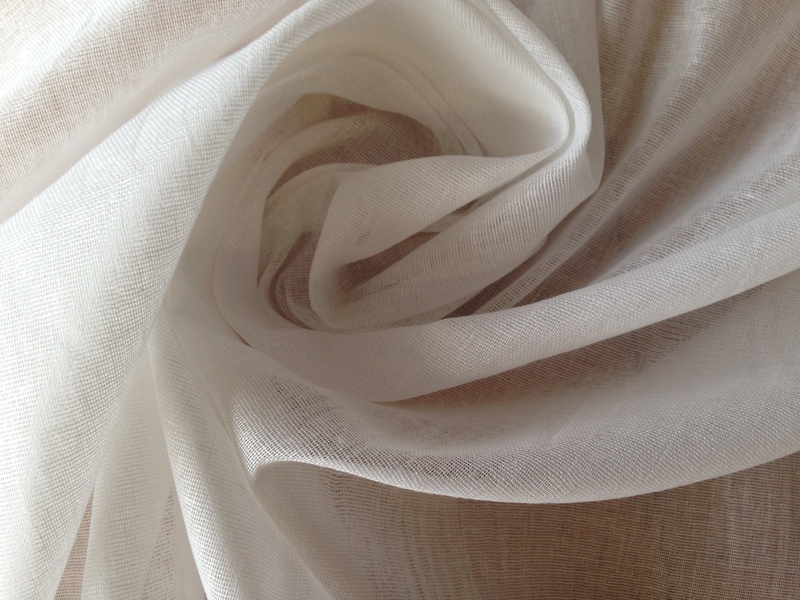 Because muslin is fine but not really that tightly woven it does shrink after it is painted or sprayed with water, which is desirable in some common techniques such as soft-covered flats. We love this sheer fabric made up as as window nets – simple and undecorative with a lovely deep edge-stitched hem and a narrow top channel on curtain wire.